This class requires a total of 4 hours two times a week. Girls will attend regular class twice a week for an hour and a half and a Turns and Technique class once a week for an hour. Turns and Technique is designed for learning the basics of turning in ballet, jazz, and contemporary. The class focuses on balance, core strength, and control. 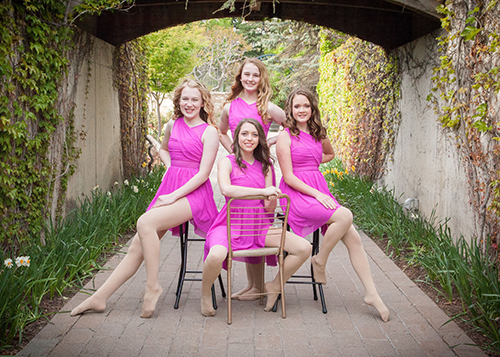 No previous dance experience necessary as the basics will be taught and reviewed for those with dance experience. Drill Team Prep will help prepare each individual girl for drill team tryouts. A proper back-ground in training is required in trying out for any drill team. Learning what to expect as a drill team member is critical – kicks, splits, dance technique and intermediate drill team moves will be taught. This class heavily concentrates on flexibility, kicks, turns, leaps, Military and Dance technique, and learning routines in a timely manner. They will learn how to perform as a unit dancing in unison and what it is like to be on a dance team. We also put a strong focus on exact requirements for high school drill team auditions as well as a disciplined drill team prep experience. Weekly class is ran as if dancers were on a drill team. Extra classes are held for those who are interested during audition time.